No one would ever dispute the tremendous contributions Russian designers have made to the beading scene. The Russian spiral and St Petersburg stitches are but two examples of many unique techniques which originally came from that part of the world. These though barely hint on the tremendous talent there. 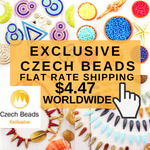 So feast your eyes on the drop dead gorgeous statement beaded jewelry of 3 Russian designers - Olga Orlova, Lully Snetkova and Kaya Solovieva who together with Tina Galagan form Perlina Rosa. What first caught my eye was Kaya Solovieva's outstanding Soutache Collection. 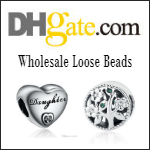 Soutache is a type of flat decorative braid used in home decor or in clothing. 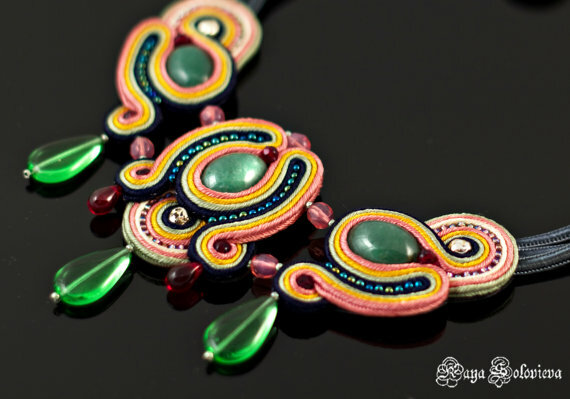 Soutache jewelry though is not widely known yet but emerging artisans like Kaya who sew, embroider and bead these designs are amazing. She combines the soutache with beads, crystals and gemstones taking full advantage of the soutache to create rather baroque flourishes like scrolls and geometric shapes. 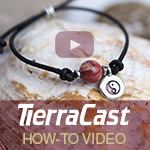 Some of her designs are backed with soft leather. 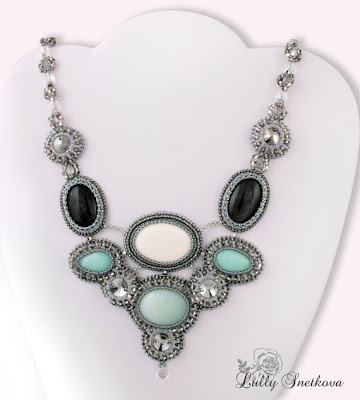 This boldly colored design combines greenstone, quartz, Czech crystals and silver plated Miyuki Delica beads. The "Golden Velvet" design below has a beautiful amber focal. The inspiration came from the Venician Palais de Doge. 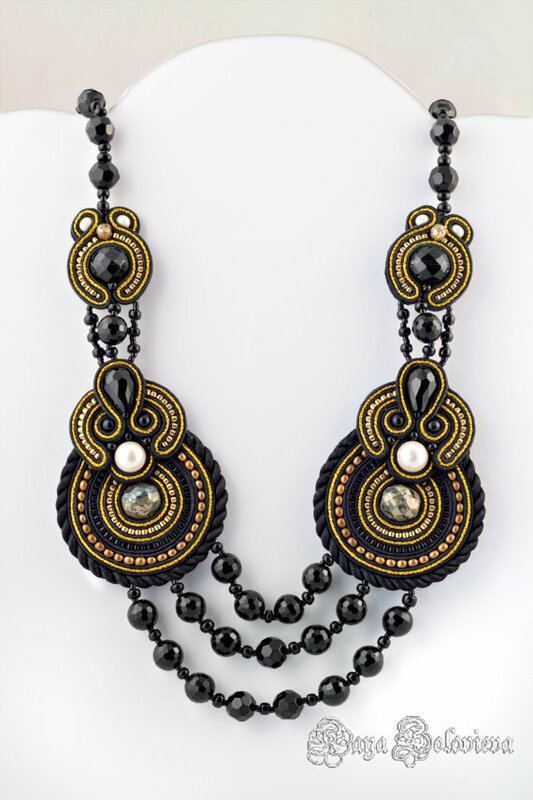 The "Dark Story" necklace uses 24K gold plated Miyuki Delica beads, rough topaz, silk soutache and pearls. This design has a leather backing. 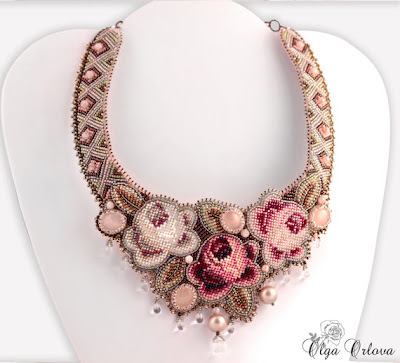 Olga Orlova's Wedding Statement necklace with pearls below is entitled "English Garden". This design reminds one of tapestry work. 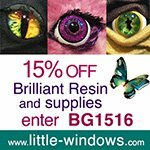 They also have an Etsy store. 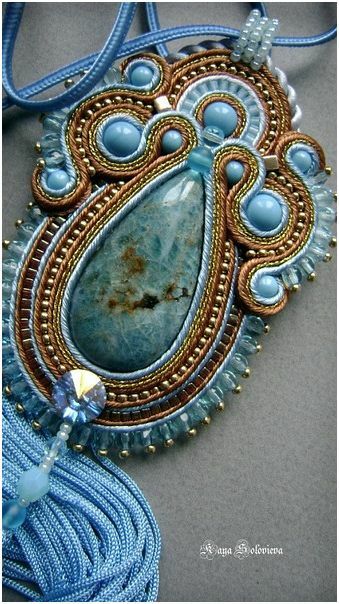 The work of these women using soutache is astounding to me. Personally, I couldn't wear them, but I sure appreciate their beauty! Thanks! 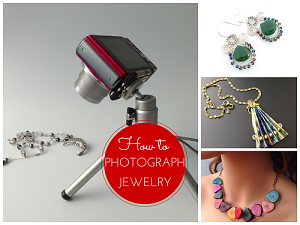 Yes, it is couture jewelry and definitely beyond me! The collections are stunning and remind me of the lush, richness of the famous Fabergé eggs. Beauty that mesmerizes. these are so beautiful! i especially love the english garden piece. Dear admirers, thank you so much for your compliments. 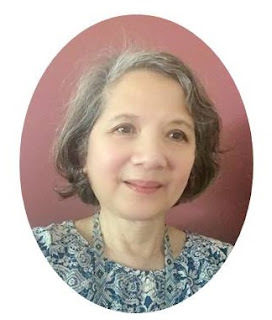 Special thanks to Pearl for taking initiative and posting this article. Very nice of you. I'm crazy about the gorgeous beadwork done by the Russian artisans; never seen anything like it! 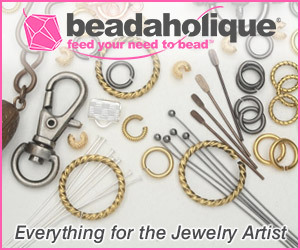 I've been able to find some Russian beading books and magazines on eBay which I'm purchasing now, and am always looking for more. Any suggestions would be most welcome!